The chief focus of our work is the translation of neuroscience advances into improved law and public policy (including preventing inappropriate and premature uses). 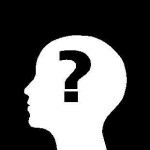 Using a variety of empirical methods we place special emphasis on the politics of neurolaw. Presentations including exploring dementia and democracy and predicting a “neurolaw revolution”. Publications include the first ever empirical study of legislative use of neuroscience, as well as the first empirical study of public opinion and neurolaw, co-authored with Dr. Dena Gromet: Red States, Blue States, and Brain States: Issue Framing, Partisanship, and the Future of Neurolaw in the United States. An emerging area of interest in the Lab is the development of a Brain Health Minnesota initiative. We are particularly interested in focusing on improving law and policy around concussions in youth sports, and hope to develop partnerships in this area over the coming years. This work builds on previous work (here, here, and here) by Professor Shen that explored, in the context of the crime victim’s brain, the legal implications of the well-recognized fact that the “mind” is enabled by the physical brain. This work also draws inspiration from the vision of Dr. Thomas Insel, Director of the National Institute of Mental Health, who reminds us that mental disorders are brain disorders. Stay tuned for more on these efforts in the years to come. In 2016, Dr. Shen led an interdisciplinary team to win a Univ. 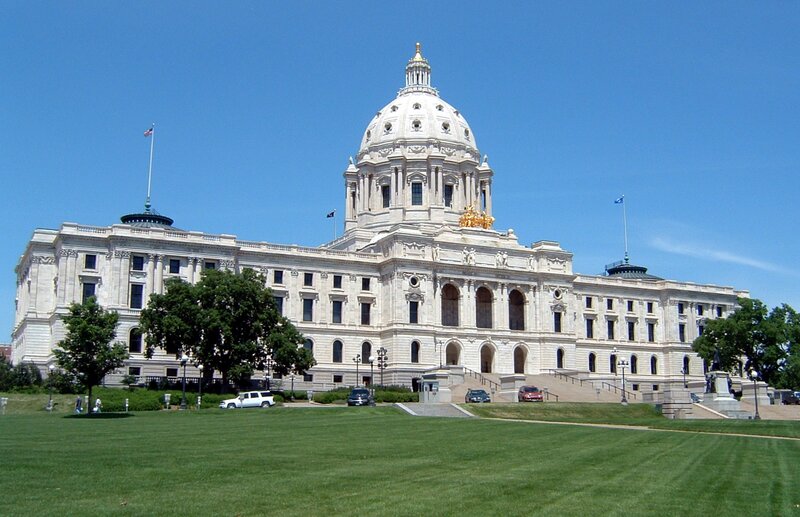 of Minnesota Grand Challenges grant to support this work on brain health in youth sports. 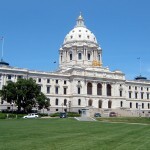 Dr. Shen testified three times at the Minnesota legislature in 2017 to promote the work. Law and Neuroscience is still emerging as an academic enterprise, but there are signs that it may develop into a lasting field. The Shen Neurolaw Lab actively supports neurolaw field development through the creation of educational materials in law and neuroscience. 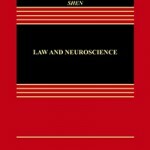 Professor Shen co-authored the first Law and Neuroscience coursebook with Owen Jones (Vanderbilt), Jeffrey Schall (Vanderbilt). 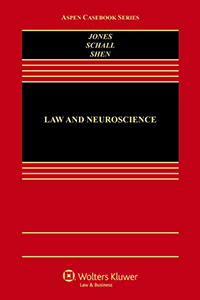 Professor Shen has also published a Law and Neuroscience bibliography, and a short guide to Keeping Up with Neurolaw: What to Know and Where to Look. In addition, Professor Shen serves as Senior Fellow in Law and Neuroscience at the Harvard Law School Petrie-Flom Center for Health Law Policy, Biotechnology, and Bioethics & Center for Law, Brain & Behavior at Massachusetts General Hospital. Imagine you are conducting a criminal investigation and the suspect sitting before you says, “I wasn’t even there.” At present, police will use a variety of traditional methods (often including the heavily-critiqued polygraph) to determine whether the suspect is lying. 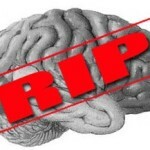 But is there a role for brain-based memory detection technology? Would implementing this new technology lead to improved outcomes in this and related contexts? While it’s clear that electroencephalography has scientific potential here, it’s equally clear that more careful study is required for what, if any, value-added it would add. We are thus starting to explore such questions, building on Professor Shen’s previous work on mental privacy and the law, and work exploring how criminal prosecutors might use neuroscience. In the criminal justice system we ask jurors to assess the mental state of a defendant that they do not know. How do jurors do this mind reading? Since 2009 I have been working with members of the MacArthur Foundation Research Network on Law and Neuroscience to answer that question. As part of a working group on criminal Intent and Punishment, we have published a series of studies. We initially published the New York University Law Review article Sorting Guilty Minds (co-authored with Morris Hoffman, Owen Jones, Joshua Greene, and Rene Marois). The article was cited in a Petition For A Writ Of Certiorari filed with the U.S. Supreme Court. The article was also featured in The National Law Journal, and further picked up by a number of related outlets (see for example: here, here, and here). We have since followed up with The Language of Mens Rea, Parsing the Behavioral and Brain Mechanisms of Third-Party Punishment, and Decoding Guilty Minds: How Jurors Attribute Knowledge and Guilt. I have also published a related study exploring mens rea for racial minority defendants. Our results suggest the need for a critical reexamination of the substantial divide between the expectations and assumptions of the criminal codes, on one hand, and empirical reality, on the other. Everyone knows that the hallmark of a comatose state is not being able to communicate. In the movies, family members wait at the bedside with the hope that their loved one will wake up. But what if the person in the bed was conscious – only unable to communicate it? 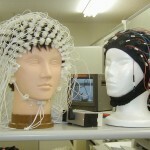 New brain science raises the tantalizing possibility that we can communicate with such people. In 2010 the New England Journal of Medicine published an article by neuroscientists Adrian Owen, Steven Laureys, and colleagues. The researchers used fMRI brain imaging as they tried to communicate with a group of 54 patients, each in a vegetative state or a minimally conscious state. The results? 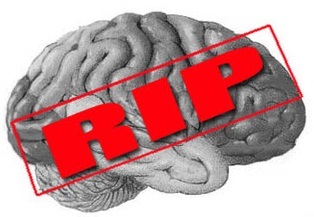 They found that five of the 54 patients were able to willfully modulate their brain activity! Since publication of the article, new methods have developed (and so too have new critiques). As this science rapidly moves forward, it raises anew legal and ethical questions about what standards we should use for the assessment of legal death. With Lab member Adam Steiner we are exploring these implications. While much of the attention of neurolaw scholarship has focused on criminal implications, we also examine the potential impact of neuroscience on the civil system. In 2012 we published a book chapter: Monetizing Memory Science: Neuroscience and the Future of PTSD Litigation. 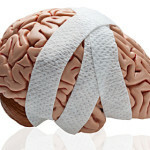 The chapter explored the possible effects of new neuroscientific evidence on civil recovery and damage awards for emotional injuries in the American tort system, and argued that there may be significant gains to be realized from monetizing memory science.. We continue this investigation today through participation in a project led by Professor Amanda Pustilnik at Harvard at the intersection of neuroscience, pain, and law. Professor Shen participated in a June 2015 conference on the topic. 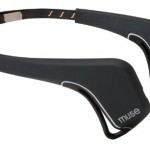 The future of law and neuroscience may be in large part driven by advances in wearable neurotechnology. 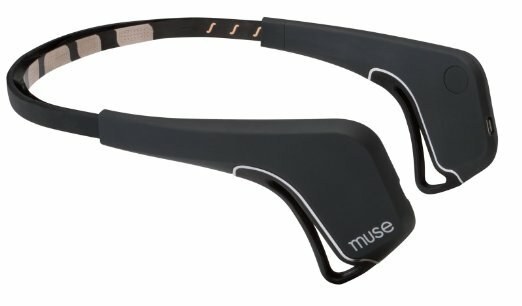 Companies such as InteraXon, NeuroSky, Neurovigil, Thync, and Advanced Brain Monitoring Technologies are rapidly developing consumer wearable technology that can both directly monitor and modify brain activity. What role should law play in the regulation and promotion of such technology? Professor Shen has participated in two sessions at the National Academies of Science on governance of neurotechnology, sponsored by the OECD Working Party on Biotechnology, Nanotechnology, and Converging Technologies. America’s urban school districts educate a majority of the country’s children, and many of these big cities continue to face a myriad of challenges in achieving acceptable levels of student achievement. One possible route to reform is to put big city mayors in charge of school districts. 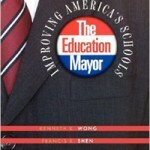 Through a series of empirical studies with Kenneth Wong of Brown University (including the co-authored 2007 book, The Education Mayor), I have examined the effect of these mayoral control laws on student achievement, district financial health, and public confidence in the school system. One of these studies, Community Support For Mayoral Control Of Urban School Districts: A Critical Reexamination, is an empirical analysis arguing that statutory safeguards for democracy — in the form of citywide referenda on mayoral control — are not adequate because of unequal patterns of participation. Our work was published by the Center for American Progress in: Mayoral Governance and Student Achievement. The culmination of six years of research, The Casualty Gap was published in 2010. 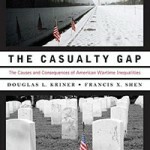 The book, which I co-authored with friend and former Harvard graduate school classmate Douglas Kriner (now a Professor of Political Science at Boston University), shows how American war casualties have hailed disproportionately from socio-economically disadvantaged communities since the 1950s and explores the ramifications of these gaps for politics, policymaking and the vibrancy of American democracy. We wrote this op-ed featured in the Los Angeles Times on Memorial Day Weekend 2010. In addition to the book, we have published a series of seven articles and had our work featured in Politico.